WASHINGTON – Judges from the 9th U.S. Circuit Court of Appeals criticized plans to split the massive Western circuit in two, telling a House committee Thursday that doing so would cost taxpayers money while slowing down the judicial process. Backers of the plan claim that the heavy caseload in the circuit, which includes Arizona and eight other states and two territories, leads to a high number of cases from the circuit that are later reversed by the Supreme Court. “There are over 60 million people represented in the 9th Circuit. 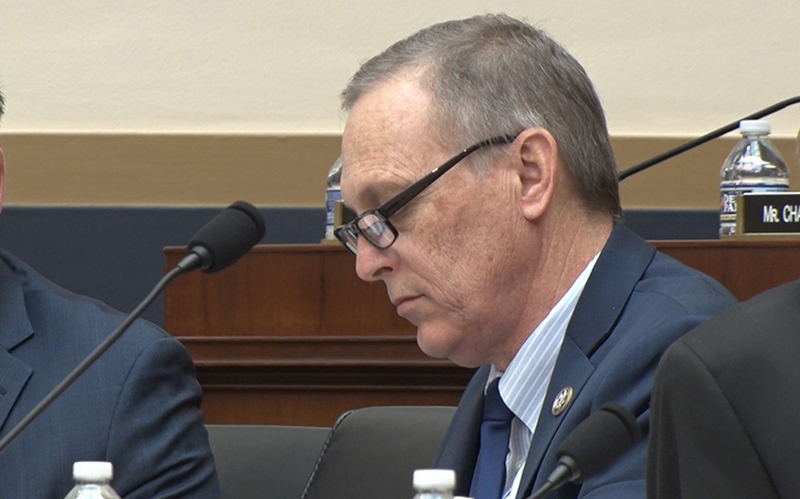 The average (circuit) has 22 million,” said Rep. Andy Biggs, R-Gilbert, during a hearing before a House Judiciary subcommittee. “This delays access to justice for many Americans and creates a situation wherein citizens of the 9th Circuit are treated differently than if they lived in any other circuit,” said Biggs, who sponsored one of at least four bills that would divide the circuit. Splitting the court, which is recognized as one of the most liberal in the U.S., has been unsuccessfully pushed since at least 1973. The latest effort is backed by Arizona Gov. Doug Ducey and has drawn bills from Biggs, Sen. Jeff Flake, R-Arizona, and lawmakers from Montana and Idaho, who have proposed slightly different reconfigurations of states to form a new 9th and 12th circuit. Backers of the split say the current circuit’s size slows the judicial process and leads to decisions that are farther out of the mainstream than in some smaller circuits. 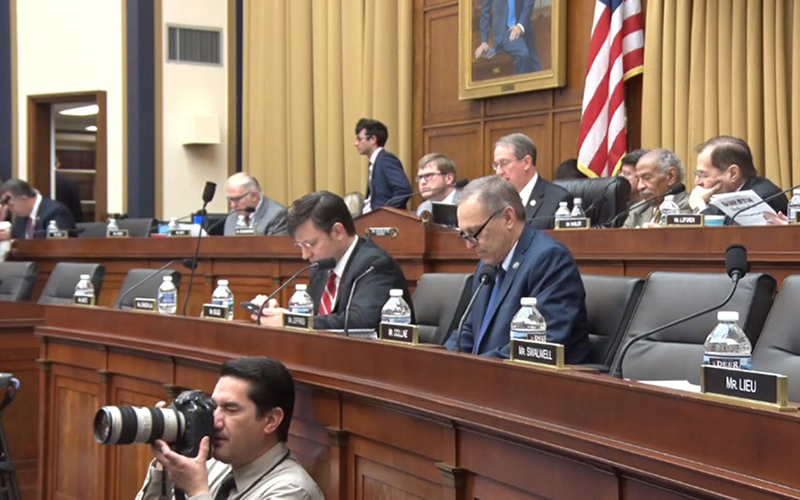 “There’s no question that the 9th Circuit is a very fine circuit, but I think we can have two even finer circuits if we split it,” said Vanderbilt University Law School Professor Brian Fitzpatrick in testimony to the committee. John Eastman, professor of law at Chapman University’s Fowler School of Law, argued that one of the biggest issues with the size of the court is the lack of collegiality – “a common interest in getting the law right” – among the judges. He said the more judges there are in a circuit, the lower the level of collegiality. The 9th Circuit, he said, has 17,296 potential combinations between the 25 judges and 19 senior judges that sit on its bench. Splitting the court would increase collegiality, Eastman said, pointing to the 1981 split of the 5th Circuit as proof. After it was split into the 5th the 11th circuits, the number of cases that were later reversed by Supreme Court fell, he said. “The 9th Circuit’s reversal rate has remained the highest in the country,” Eastman told the committee. A review of data from the website scotusblog.com, which reports on the Supreme Court, show that the high court hears a high number of cases from the busy 9th Circuit. 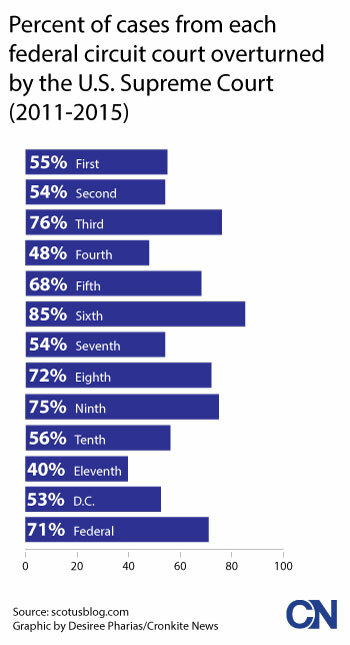 But the percent of those that it reversed over the last five years ranked third-highest among the 13 federal circuits. Judge Alex Kozinski conceded that the circuit’s vast size can make it time-consuming for people to travel to the location where their case is being heard. But he testified Thursday that this is not an issue in an age when video technology allows judges and attorneys to participate in hearings from afar. 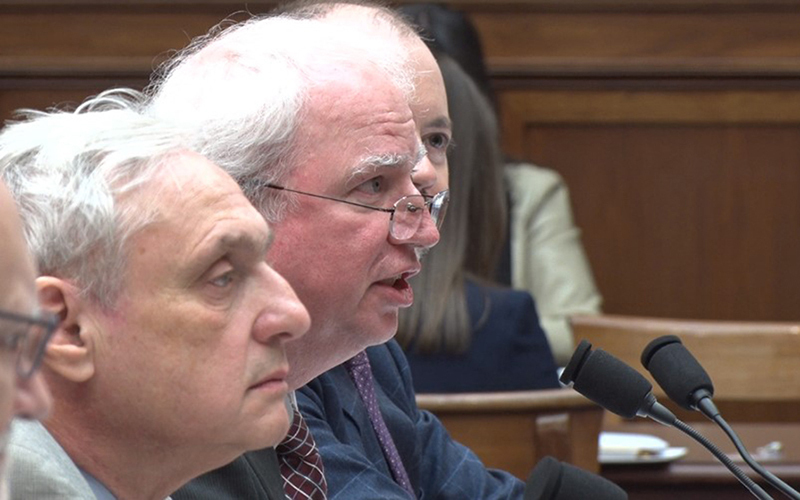 “Just this past month I myself heard two cases in Hawaii where the lawyers appeared from Saipan via video because their clients couldn’t afford to pay for their lawyers to travel to Honolulu,” Kozinski told the subcommittee. He said technology has helped the appeals court overcome its large size and still work as quickly and efficiently as its smaller counterparts.